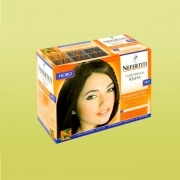 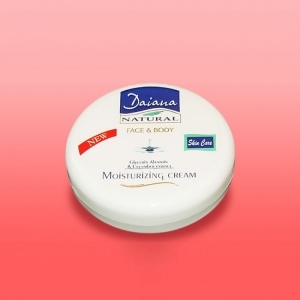 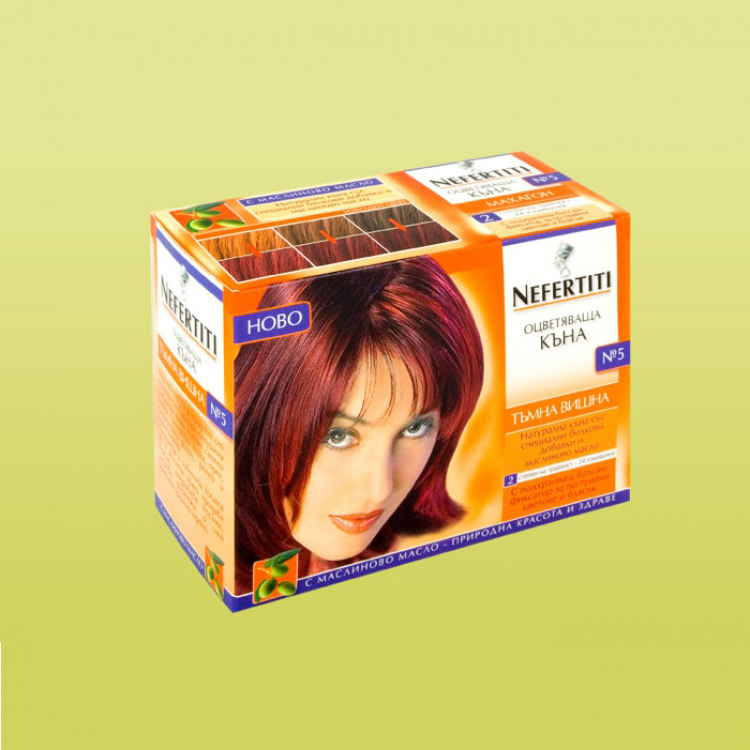 ur many-year experience in the production of coloring henna enabled us to create a product, which meets even the criteria of our most exacting clients. 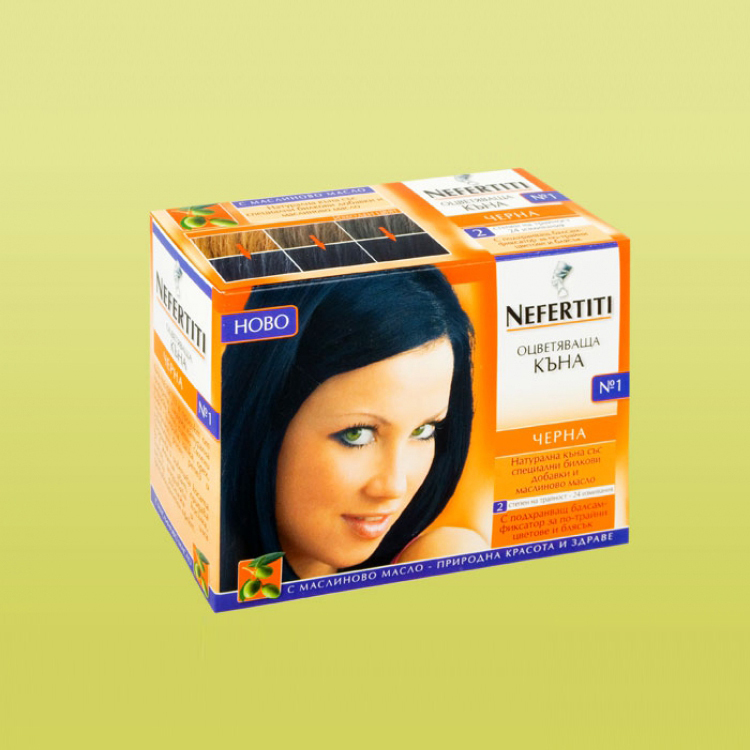 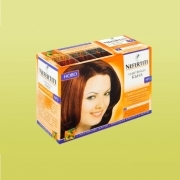 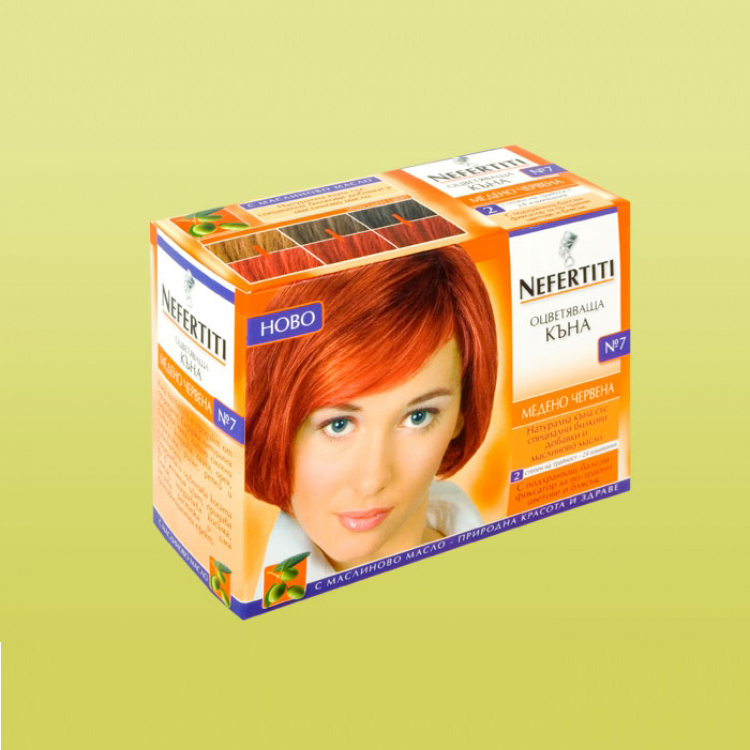 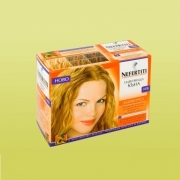 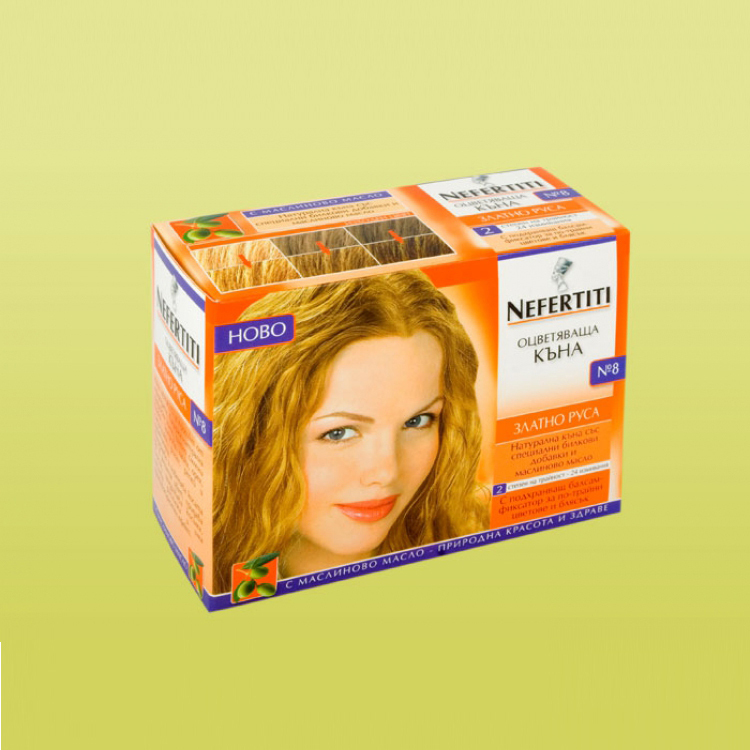 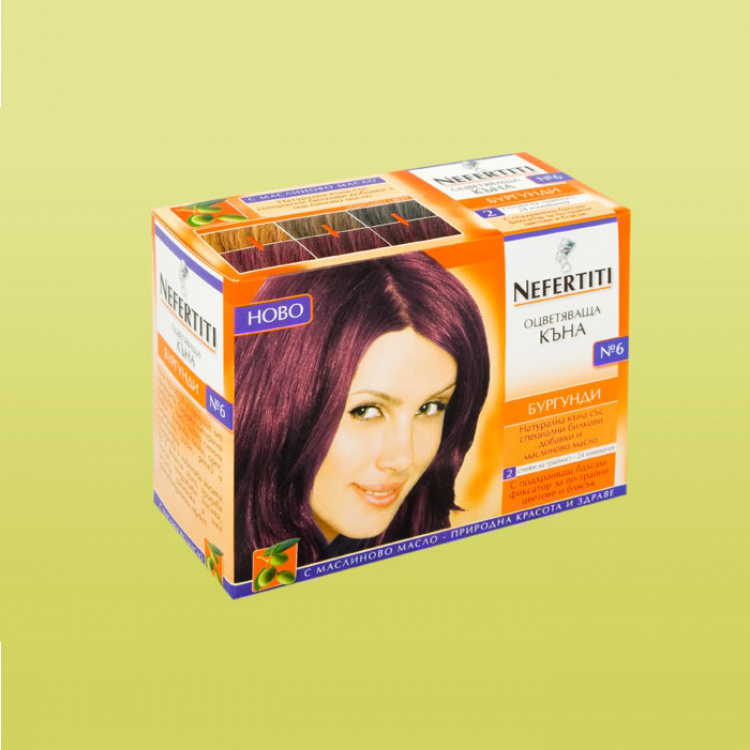 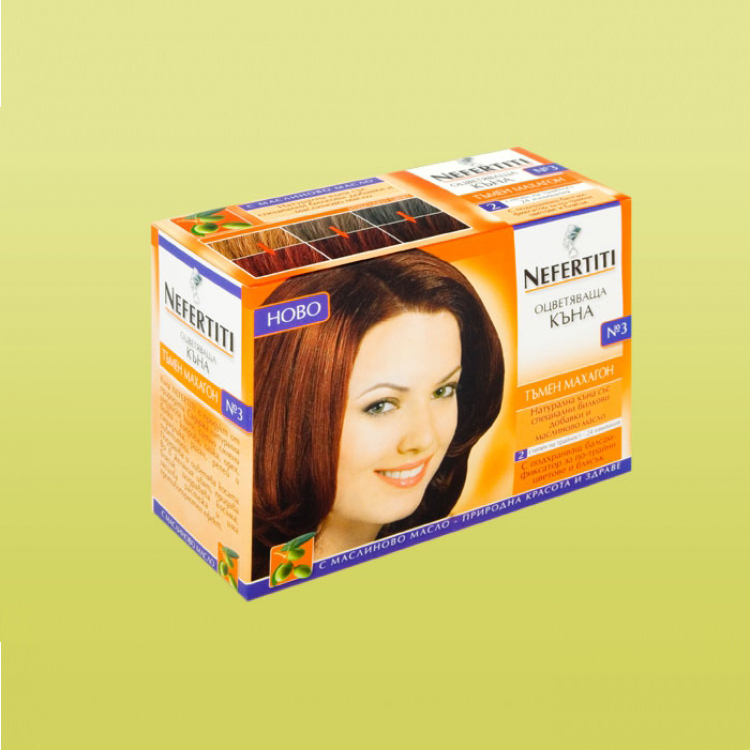 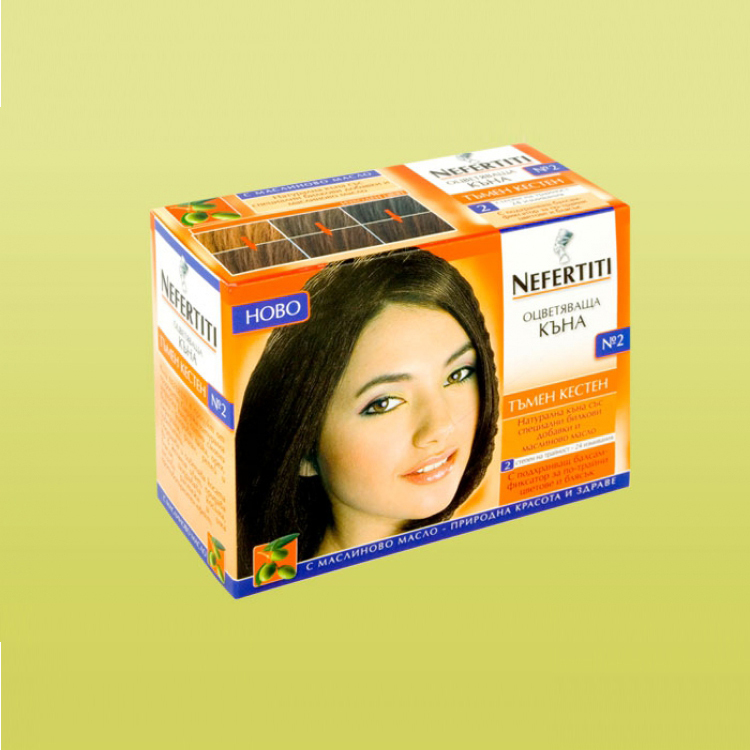 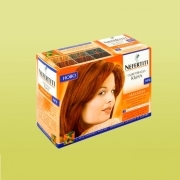 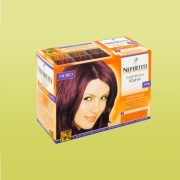 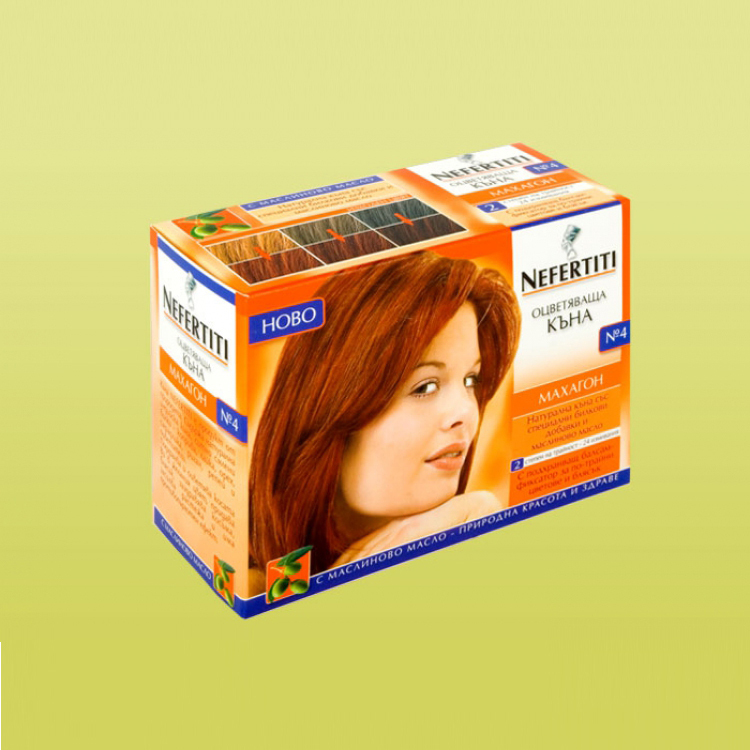 Coloring henna Nefertiti with olive oil colors your hair in the desired color while it nourishes and stimulates its growth at the same time. 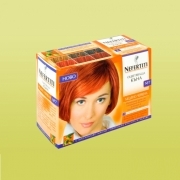 Enjoy the eight colors from the nature.